To link to Companion Air, right-click with your mouse on an image and select "Save Picture As" from the menu. 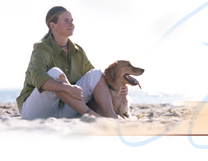 All banners must link directly to the Companion Air homepage at http://www.companionair.com. You are permitted to create a link to the Companion Air Web site; however, our permission is revocable in our subjective discretion, and nonexclusive. You may not link any material that is of an offensive or illegal nature to the Companion Air Web site. By creating a link to our site, you warrant that your site and any other sites to which your site links do not portray the Companion Air or its products or services, in a false, misleading, offensive or derogatory manner. Linking to Companion Air's Web site does not connote an endorsement by Companion Air, nor should it be construed or represented by you in any way to be an endorsement by Companion Air of any materials on a Web site containing our domain name or graphic banner or any other intellectual property. The Companion Air link graphic is solely for your own use on a single Web site. You agree not to make copies for anyone else. If you move the graphic to a different Web site, you agree to inform us within 24 hours of the new Web site address. You agree to use the graphic only to provide a link to www.companionair.com. Any other use is prohibited. Use of the domain name or graphic banner for purposes other than linking to www.companionair.com is expressly forbidden. You agree to use the graphic in its entirety, without alteration or modification. Your site cannot state or imply that Companion Air endorses a company, product or service. You may not use or associate the domain name and graphic banner with any obscene, scandalous, inflammatory, pornographic, indecent, profane, defamatory or unlawful site or materials in any way, or in any manner that would adversely affect the name, reputation and goodwill of Companion Air. Companion Air may, at any time, terminate your license by notifying you at the address on the Link page. Within 24 hours of receipt of notification of such termination, you shall cease your use of our domain name and/or graphic banner and the link between the Web sites. Companion Air grants a nonexclusive, limited license to the Owner of any Web site who places on their site a text link containing our domain name, or a link containing the graphic banner below, to display our trademark (contained in our domain name) and the graphic banner below for the sole purpose of linking Owner's site and www.companionair.com. The materials on Owner's site shall not imply any association with or relation to Companion Air without the expressed permission of Companion Air. Companion Air reserves the right to cancel this license at any time and for any reason. Companion Air reserves the right to disable any links from third-party Web sites to the Companion Air Web site. By linking your Web site to the Companion Air Web site, you agree to indemnify and defend the Companion Air from any loss, cost, or damage incurred by the Companion Air in connection with the linked material, including legal fees. Companion Air shall not be responsible for any loss, damage, liability or expense that may accompany or result from your use of the link, domain name or graphic banner, including but not limited to any computer virus; technical, hardware or software failures of any kind; lost or unavailable network connections; or failed, incomplete, garbled or delayed computer transmissions. Companion Air retains and reserves all rights in and to Companion Air's trade names, trademarks, logos, copyrights and all other intellectual property with respect to the domain name and graphic banner. Our link graphics are protected by copyright and trademark laws. Use of any other trademarks, trade names, graphic banners, copyrighted material or any other intellectual property of Companion Air for any purpose is expressly forbidden. All materials are provided "as is," without warranty of any kind, either express or implied, including, but not limited to, the implied warranties of merchantability or fitness for a particular purpose where applicable. The display of our domain name and the graphic banner containing our trademark on the Web site indicates the agreement by Owner to the foregoing terms and conditions. If you do not agree with the foregoing terms, do not link to the Companion Air Web site.